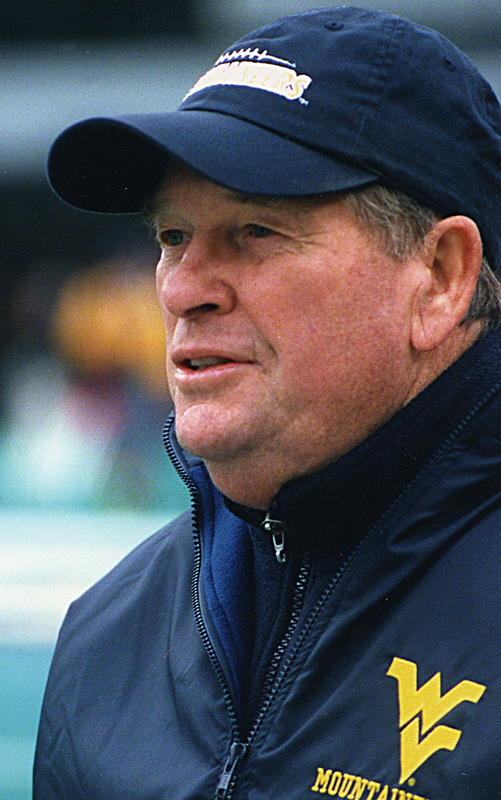 MORGANTOWN, W.Va. – Former WVU Football Coach Don Nehlen has been named honorary chair of the 16th Annual WVU Medicine Children’s Gala, which will be held on Feb. 9 at the Morgantown Event Center. Nehlen’s relationship with WVU Medicine Children’s dates back nearly four decades. A native of Canton, Ohio, Nehlen came to West Virginia in 1980 after three years as an assistant coach at the University of Michigan. It was then that he took the trip to visit sick children in the hospital that would establish the relationship that is still going strong today. After noticing what he felt was a lack of toys in the hospital’s playroom, Nehlen went to then WVU Athletic Director Fred Schaus and told him that instead of charging admission for that year’s spring football game, the team would be collecting money to buy toys for patients at Children’s. Shortly thereafter, Nehlen hosted a football clinic for women, charging each of the 500 ladies who attended a $5 fee, which was also donated to Children’s. The decision was then made to charge admission to the annual spring game, the Gold-Blue Game, and donate the proceeds to Children’s. To-date, the game has provided more than $740,000 in funding for WVU Medicine Children’s. It was also under Nehlen’s direction that WVU football players began visiting patients at WVU Medicine Children’s. That tradition also continues to this day. Following the 2000 season, Nehlen retired after 21 years at WVU and 34 total years as a head coach. He finished with a 149-93-4 overall record at WVU, the most victories in school history. He was named the Walter Camp, Bobby Dodd, and American Football Coaches Association coach of the year in 1988 and was named the Kodak coach of the year in 1993. He took 13 teams to bowl games, produced 17 winning seasons, and coached 15 first team All-Americans, 82 all-conference players, six first team Academic All-Americans, and 80 players who went on to play professional football. In 2005, he was inducted into the College Football Hall of Fame – the only coach with WVU ties to be enshrined in the Hall of Fame based solely on his record at West Virginia. Nehlen and his family remain connected to WVU Medicine Children’s and its mission of caring for kids from all over West Virginia and the surrounding region. His daughter and son-in-law, Vicky and Jeff Hostetler, established the Jeff and Vicky Hostetler Family Resource Center at WVU Medicine Children’s, and Jeff is one of the co-chairs of the capital campaign for the new Children’s tower. Funds raised from the 16th Annual WVU Medicine Children’s Gala will support the hospital’s expansion. Tickets go on sale on Tuesday, Dec. 11. For more information on the Gala, including tickets and sponsorships, visit wvuchgala.com or call 304-598-4346. The Friends of WVU Hospitals Board of Directors announced today (April 10) a pledge of $500,000 to the WVU Medicine Children’s "Grow Children's" Capital Campaign to name the Child Life Activity Center in the new tower. WVU Medicine Children’s will hold its 21st annual Kids Fair from 10 a.m. to 3 p.m. on Saturday, April 6, at the Morgantown Mall. The WVU Medicine Children’s Neurodevelopmental Center, in collaboration with autism service providers from the Monongalia County community, will sponsor a variety of autism awareness events for World Autism Day on April 2.